For so many years, I struggled to find my authentic self. I spent a lot of time feeling like I was “forcing it” and I knew I hadn’t yet uncovered who I was really meant to be. I've struggled with "not-enough syndrome" and living a lifestyle that seemed great from the outside, but felt OFF for who I wanted to be. It took some time for me to realize that I was worth listening to, and I was ready to start treating my body and mind as my #1 priority. After going to a local yoga class, I experienced a feeling I knew I was capable of all those years – calm, centered, strong, and healthy. I wanted to feel like this all the time. And most importantly, I knew it wasn’t just about yoga. Committing to a regular yoga practice sent me on an exciting new path, delving into books, lectures, and information on all things holistic health, alternative therapies, meditation, and spirituality. When I started thinking seriously about motherhood, I really kicked my new lifestyle into high gear! I cleaned up my diet by adding flavorful, nutrient-rich foods to my palate. I listened to my body and found what it was asking for. From there, I eliminated toxic chemicals from my household and beauty routine. I developed a spiritual practice that's become my lifeline during some of my toughest moments. In 2015, I became pregnant, and after 9 beautiful months of treating my body and my baby to exactly what it needed, I gave birth to my daughter in 2016! From that point on, I wanted to share my journey of motherhood with other women. After receiving my BSN from the University of Delaware, I thought I was done with school. 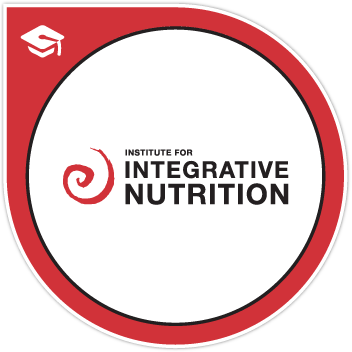 However, my thirst for more knowledge about my passion drove me to enroll and graduate from the Institute for Integrative Nutrition - all while pregnant and then with a newborn! It certainly was not always smooth sailing, but by the end, learning to tune into my body and re-center no matter how off course I'd get, was priceless. As a registered nurse for 9 years and working in hospice for 5 of them, I knew how to help the sick. Post IIN graduation and with my new arsenal of tools, it all clicked into place. "What if I could help people (and myself) before they were in a hospital bed? " "What if we could lead lives that we loved, ate food that nourished our soul, and find peace in the daily grind?" Like I said, sharing a pizza with my hubby is one of my favorite activities, so this is not about deprivation! It's about making deliberate lifestyle and food choices that you and your baby will love. When I fall off, I know how to get right back on. I know what nourishes me and my daughter. Most of all, I get to enjoy watching her as she grows to know herself. Now it's you turn to feel this way too.